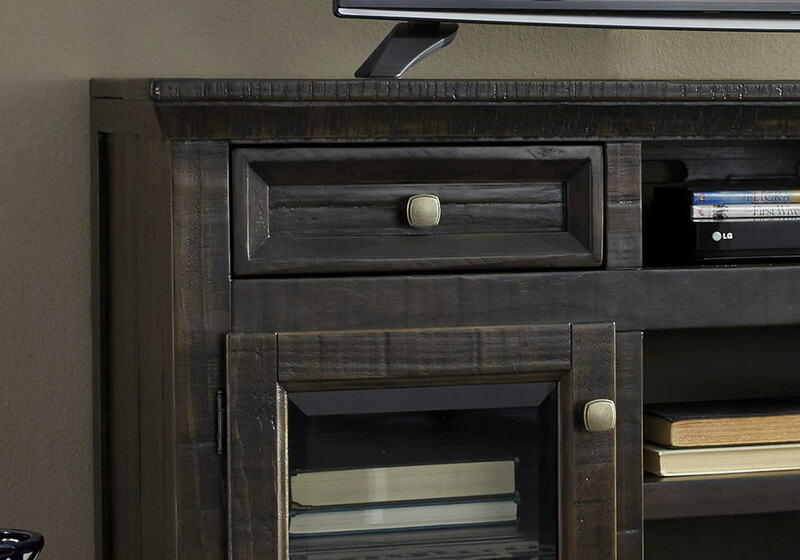 Use this solid wood media cabinet to create an industrial look around your new age entertainment devices. This piece features a beautiful multi-step lacquer finish with two natural tones over a solid wood case. Mortise and tenon joints help to ensure a quality construction with stability and durability. Custom cast iron pulls complete the piece with an antique brass finish. Give your living room a face-lift with this stylish and functional collection of occasional tables. 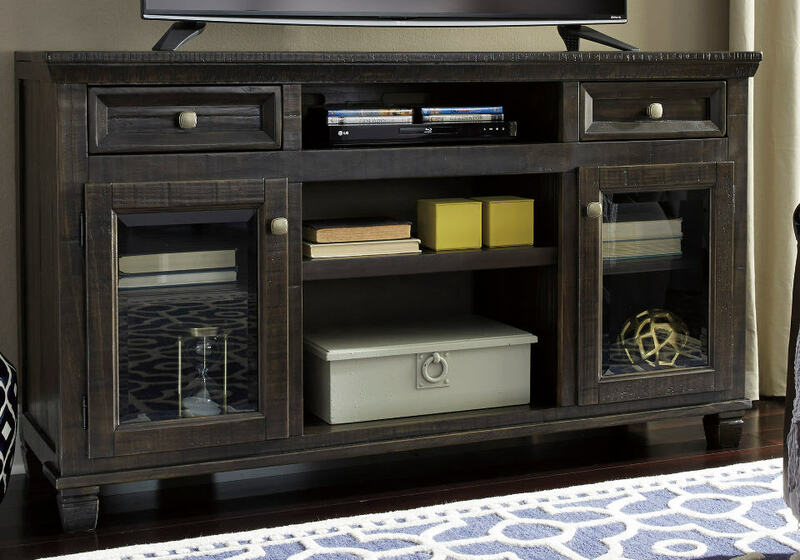 Built using solid wood for durability this collection has a hand applied finish to provide a one of a kind look. Bases are crafted from tubular metal and the cocktail table feature wheels to add a touch of industrial influence. Rustic contemporary style is one that can be incorporated into a variety of homes and will look perfect in your living room.